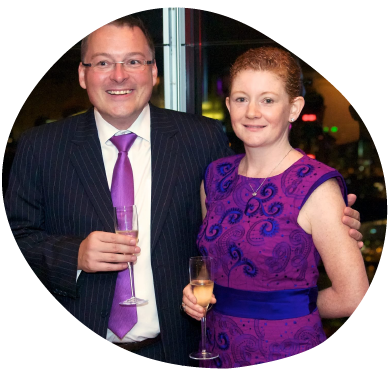 After losing his wife Alice to cancer, Craig shared his story to help launch the new St Giles Hospice Lottery. “I feel passionately about supporting St Giles because they did so much for us,” said Craig, whose story appears on the hospice Lottery leaflet. Alice, who spent eight years battling breast cancer, received regular contact and support from St Giles before being admitted to St Giles Hospice in Whittington. A keen artist and dog lover, she was encouraged to have her art-work in her room and even bring in the family’s much-loved puppy Dave. Alice was eventually transferred back to the family home in Sutton Coldfield where she was cared for by the St Giles Hospice at Home team. Alice, who spent eight years battling breast cancer, received regular contact and support from St Giles before being admitted to the hospice’s Compassus Centre in Whittington. 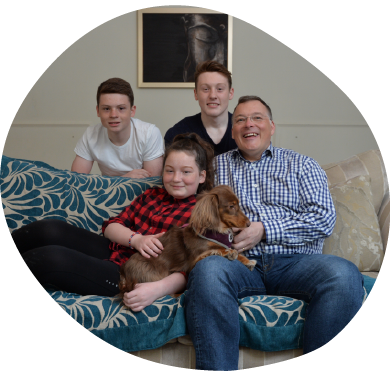 She died on March 19th, 2016 aged just 43, but her legacy lives on, inspiring Craig to fundraise for the hospice which supported him and their three children Louie, Cameron and Jasmine at such a difficult time. “The help Alice received was spectacular, and she went from not being able to speak at all to talking once more, which was amazing to see,” said Craig. “We’ve been through a traumatic time as a family but St Giles really helped us and I’ve come to realise that the organisation doesn’t fund itself,” added Craig. Please help us make every moment count for people like Alice and her family.